The pictures above are the work of Artisan Robin Milburn. Her work and that of other artisans can be seen and purchased at the Artisans United Gallery in Annandale. Robin Milburn is fascinated by how things are made. As a child, she was drawn to things made of string, from sailor’s knots to crewel embroidery. In school she gravitated towards science and math. Her mother’s work as a museum guide introduced Robin to the field of art conservation – an intriguing combination of chemistry, materials science, art history and studio art. Robin had found her niche. During an internship in textile conservation, one of the curators came back from a weaving class with a book of overshot samples. 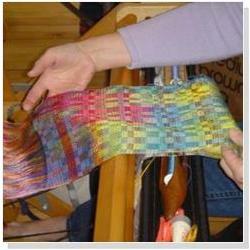 She was smitten by the colors and patterns; Robin needed to learn to weave. 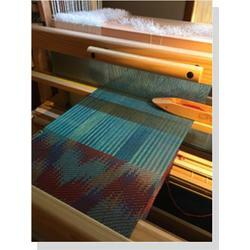 In 1995 she started taking weaving and other fiber arts classes at Springwater Fiber Workshop in Alexandria. Since then, her interests have expanded to include Japanese braiding, spinning, felting, dyeing, knitting, ply splitting, and papermaking. Robin gathers inspiration from ethnographic art, Japanese art and the natural world. Through her museum conservation work with ethnographic collections, Robin developed an appreciation for objects that are both useful and beautiful, made from natural organic materials, and fashioned by hand using simple tools and traditional techniques. Ethnographic art connects us with culture, place, tradition, nature and spirit in ways that are becoming increasingly rare in our modern industrialized world. 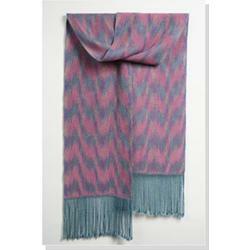 Most textile techniques have been used throughout the world for thousands of years. Through Robin’s artwork, she strives to continue traditional fiber techniques in a modern context. 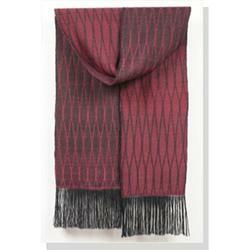 The materials she uses include traditional natural fibers as well as modern materials such as rayon and novelty yarns. 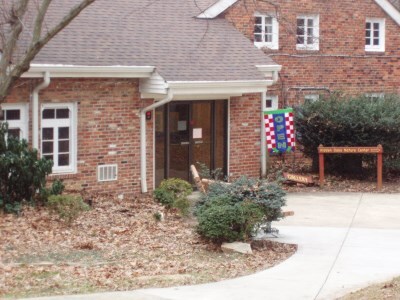 The equipment utilized is a mixture of traditional and modern. 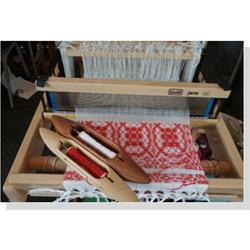 Robin weaves on a traditional Finnish floor loom and a modern Dutch computer controlled dobby loom. 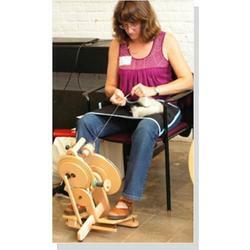 She prepare fiber for spinning using hand cards or combs and spin the fiber into yarn using a variety of tools – from simple drop spindles to a modern, electric spinning wheel. 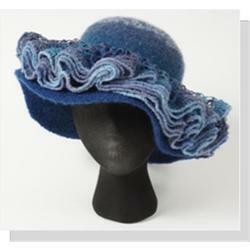 As a fiber artist, Robin explores the many intriguing ways to turn fiber and yarn into wearable and decorative art. Making textiles by hand takes time, patience, and skill. It is a repetitive, meditative art – soothing and mesmerizing. With modern mechanized mass production of textiles, many of the traditional hand techniques are being lost. 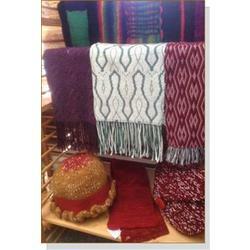 Through her art, Robin hopes to introduce people to the beauty of hand made textiles: their unique personal character, their variety, and their rich traditions. 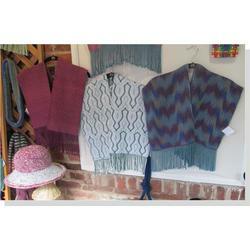 Robin Milburn is a fiber artist and hand weaver in Falls Church, Virginia. 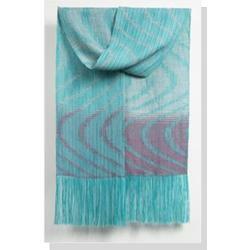 She learned to weave in 1995 at Springwater Fiber Workshop in Alexandria, Virginia, and has been making wearable and decorative fiber arts ever since. Her interests have expanded over the years to include Japanese braiding, spinning, felting, dyeing, knitting, ply splitting, and papermaking. 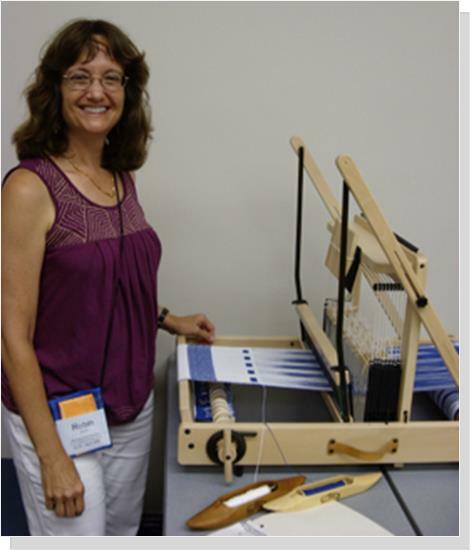 Robin has taken extensive classes in weaving, spinning, dyeing, and kumihimo through national and regional conferences, local fiber art schools and instructors, and guild workshops. Her background is in Art Conservation. She graduated from Duke University with a B.A. in chemistry and attended the Winterthur Museum/University of Delaware Art Conservation Program. After earning a M.S. degree in art conservation, she worked for ten years as a Conservator of Ethnographic Objects at the Smithsonian’s Museum of African Art and the Fowler Museum of Cultural History at UCLA. Her training and museum work introduced her to textile technology and exposed her to extensive collections of hand made ethnographic textiles.